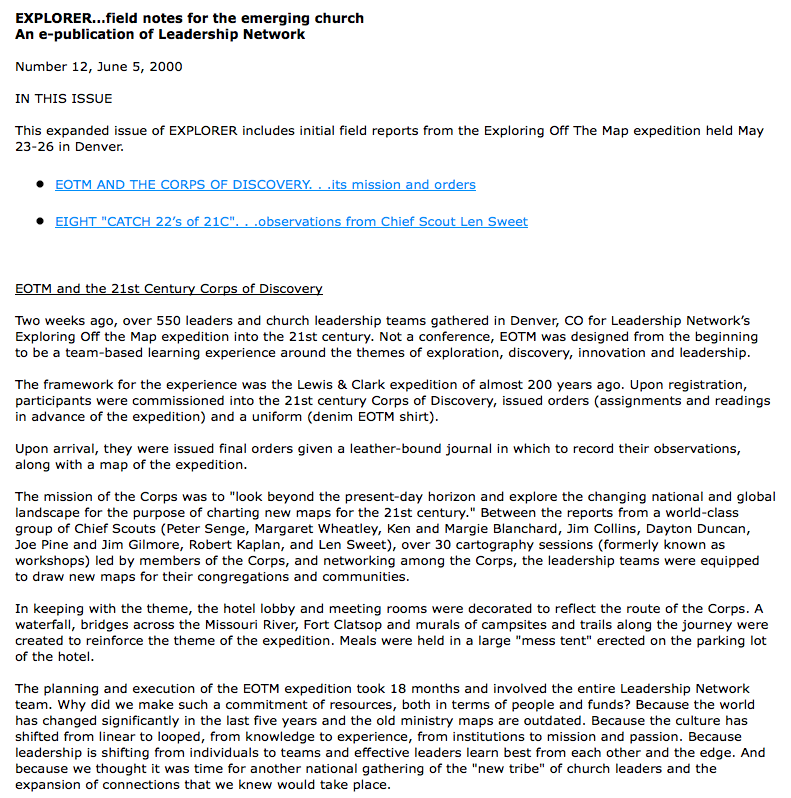 "Under the Bus" and "Off the Map"
Read Part 1: "We Are Not ABANDONED"
Leadership Network's culture has trained several generations of megachurch leaders and spawned the Emergent/Emerging and New Calvinist evangelical "streams" (among others). Precisely WHAT was taught to these leaders that gave them the idea that it is okay for their sheep to "get run over by the bus"?" 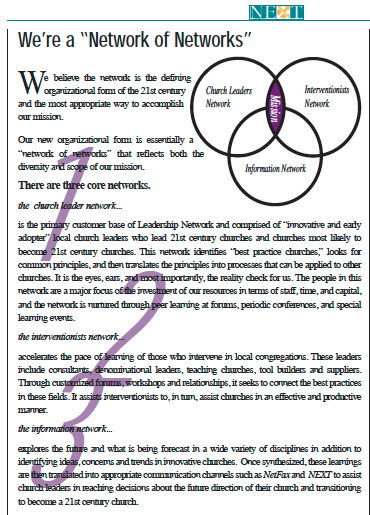 Before proceeding it is necessary to establish that Leadership Network sees itself as a "change agent" organization, and a premier "network of networks." It believes it possesses replicating "DNA" that can be inserted into existing churches and faith-based organizations across the country. As a training outfit, Leadership Network reproduces its DNA downline throughout its multiplying interconnected networks. 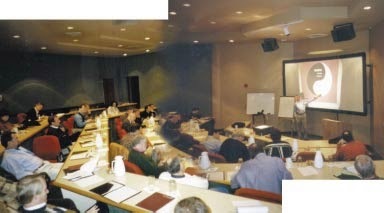 From the beginning, the DNA of Leadership Network was intended to become the DNA of the evangelical world. 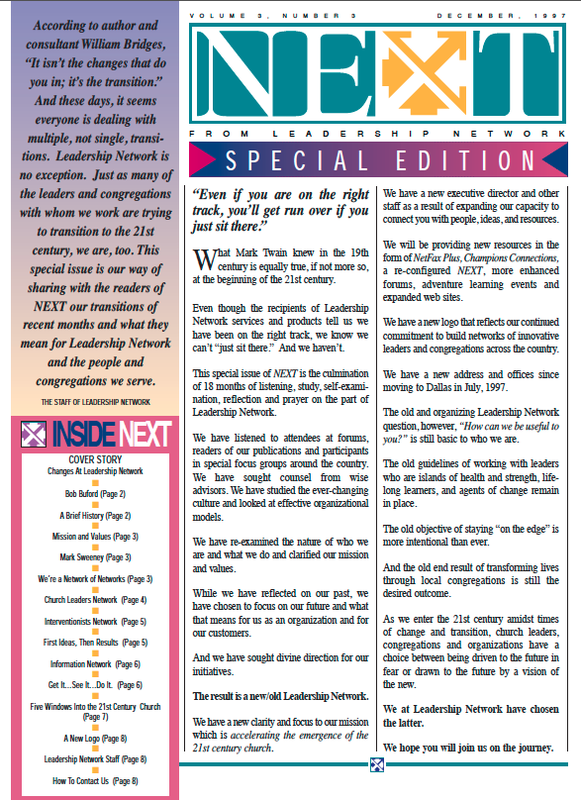 In December 1997, Leadership Network's Megachurch bus shifted into a new gear and set the path towards "accelerating the emergence of the 21st century church." 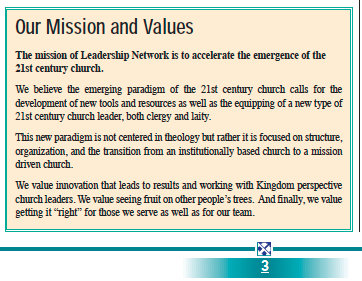 They stated that their "new paradigm" would not be "centered in theology" but rather "focused on structure" and organization." At the right is the full context of the opening quote at the top of this post. In this particular issue of NEXT, Leadership Network announced preliminary organizational structural changes that laid the groundwork for the next few years of paradigm-shifting. This would set the stage for the year 2000, and soon afterwards Emergent/Emerging would be launched. From its inception the foundation of this "emergence" was fundamentally flawed. There was an inherent defect in the DNA. It did not originate from the Scriptures. It was a foreign organism, not unlike a virus. 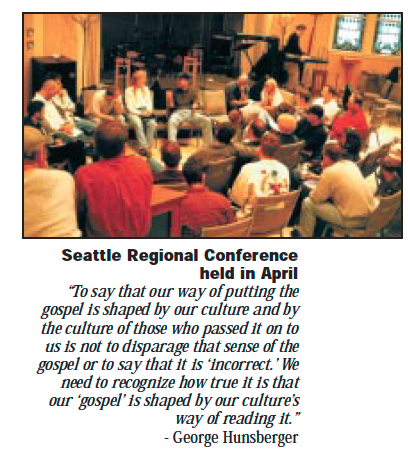 The full-blown disease is now in evidence at Mars Hill in Seattle. People are feeling the terrible symptoms, but few know its origins. And some may not want to know it. 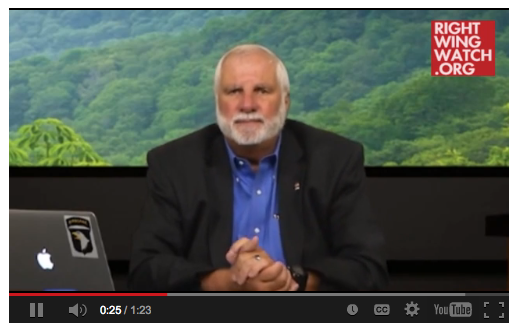 Leadership Network's DNA is not about the Gospel of Salvation. It was never about Jesus Christ. The emphasis was always on "structure" and "organization" and the nuts and bolts of how to "transition" the church the church into the new "emerging paradigm." Yes, its emerging leaders spoke the hip-sounding intellectual language of theology and philosophy. But that was part of the structural change. They were charged with deconstructing the old mindsets of the old theological paradigm and building the new. Everything was to be turned inside out, upside down, and totally gutted. In this postmodern worldview there can be no absolute truth and God's Word is not the final authority. So the leaders actually threw out the road map and began careening down the road in an out-of-control bus. It was all a grand experiment. Change agents. To survive and succeed, every organisation will have to turn itself into a change agent. The most effective way to manage change successfully is to create it. But experience has shown that grafting innovation on to a traditional enterprise does not work. The enterprise has to become a change agent. This requires the organised abandonment of things that have been shown to be unsuccessful, and the organised and continuous improvement of every product, service and process within the enterprise (which the Japanese call kaizen). It requires the exploitation of successes, especially unexpected and unplanned-for ones, and it requires systematic innovation. The point of becoming a change agent is that it changes the mindset of the entire organisation. Instead of seeing change as a threat, its people will come to consider it as an opportunity." Study what Drucker was actually saying. This term "organised abandonment" means anything "shown to be unsuccessful." The organization must experience kaizen, "continuous improvement of every product, service and process," a concept he applied to the church. But it presents problems. First, it simply isn't biblical, and can't be found in the teachings of Jesus or the apostles. Much of the books published by Leadership Network leader/change agent authors have attempted to create a theology to justify this. Second, church "organisation" is made up of fallible and infirm human beings - who are not a perfect "product" and can't produce a perfect "service." Third, the only way to "improve" human beings is to preach the Word, the Gospel message of salvation that reveals God's grace, convicts the heart, and leads to our humble repentance. Jesus Christ our Savior died for our sins, and the transformation of the inner man by the power of the Holy Spirit leads us to daily die to self. Fourth, these terms need to be defined. What does "unsuccessful" mean? What happens to people who don't exhibit "continuous improvement"? What allowance is made for inability, infirmity, or inadequacy to measurably perform "continuous improvement" in one's daily life? How many people have been thrown under the bus because of this business principle? Leadership Network's NEXT, Dec. 1997, p. 3.
mutual learning, team learning, service learning, game learning, leisure/vacation learning, adventure learning, electronic learning, network learning, group learning, distance learning and cyberlearning systems and programs. Notice that Sweet makes no mention of Bible learning. It is not on his list. It is not in the DNA. A missing gene! Nevertheless, Leadership Network's networking-by-stealth DNA incorporated thousands of churches into its vast downline empires, that included Purpose-Driven and Willow Creek as well as Mars Hill. But there was indeed "learning" in Sweet's new system. It came straight out of the occult New Age movement. It created the road map for the bus route. ✵ Learn to create your own maps. The old ones don’t work any more so you will have to chart your own course. Something should be said here about experience. Our personal experience. The postmodern worldview puts great stock in experiential faith. Experiences are widely acclaimed and applauded as genuine and authentic. But our experiences, leading to the writing of this post, may be discounted. Why? Because they don't fit the "Mission and Values" of the paradigm. Some of us were exposed to postmodernism in the Protestant churches back in the 1960s when the first experiments at changing the map were tried. Warren Smith experienced the New Age, and he has continually warned other believers about where its roads lead. And, as we said in Part 1, we were trained in the change methodologies that operate the bus. Our criticisms of this "Exploring Off the Map" conference may be automatically disparaged, discounted or dismissed. Naysayers, including those of us who warn, are usually tossed under the bus. But, we studied the roadmaps, we've ridden similar buses, and we know that this one is heading off a cliff. It is claimed that "over 500 men and women" attended this "Exploring Off the Map" conference. To date we have never heard a single attendee come forth and repent of their involvement. We pray for a man of courage to speak out about this experience. The intention of this conference was to toss out the old road maps, and plot out a new path for the future. Deconstruction can be destructive. Although the wrecking tools weren't necessarily visible, and the results wouldn't be evident for a awhile, eventually people ended up under this bus. We heard their stories. When they didn't fit the new paradigm, the sheep got tossed underneath. Their pastors had come under the influence of this new DNA and remapped the genes of their local church. Much of this was done under the radar and surreptitiously, and often by deception. We heard stories about local people discovering that their church had come under the networking umbrella of Willow Creek without congregational authorization (even if required in the church bylaws or constitution) or knowledge. Management by a select few at the top - self-anointed and self-appointed leaders with financial incentives - is the structure of governance in this operating system. Don't be fooled by the "laity" rhetoric. Leadership Network admitted that they put 18 months into the planning and programming of this "Exploring Off the Map" conference, and they invested a lot of capital. 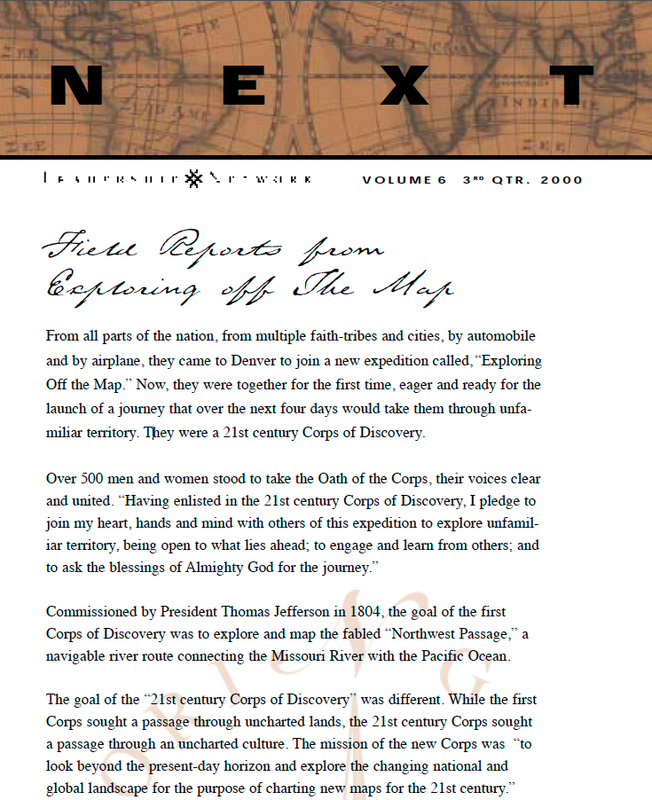 The stated "mission" for "Corps of Discovery" attendees was said to "look beyond the present-day horizon and explore the changing national and global landscape for the purpose of charting new maps for the 21st century." This raises an obvious question. The old map would have been what? The Bible? It is often referred to as the road map for Christian believers. Considering that New Age gurus charted the map, just where did they direct these church leaders? And considering that Leadership Network was highly influenced by the "futurist" beliefs of the New Age gurus - that mankind can create "alternative future scenarios" - what does that tell us about the direction the bus began heading? At this time period Leadership Network was busy putting its core group of "young leaders" through intensive experiences and indoctrination in these new ways of thinking, believing, and acting. The pressure on these young men must have been extremely intense. The old ways were disparaged. They were given a hammer and told to start pounding away. They had to build a new road from scratch. What a heady adventure! But the mortar for the new road was untempered (Ezekiel 13: 10-15). The new mindset did not permit a return to the old paths. No wonder so many have forgotten how to repent and return to Jesus Christ and the simplicity of the Gospel. Peter Senge, a Buddhist New Age leader who developed the concept of "learning organizations" based on systems theory, in which we humans can recreate ourselves by visioning the future. His book The Fifth Discipline was heavily marketed by Leadership Network. Todd Hunter wrote his reflections on the "Exploring Off the Map" conference for newsletter NEXT. Sadly, he esteemed Peter Senge as a "prophet." 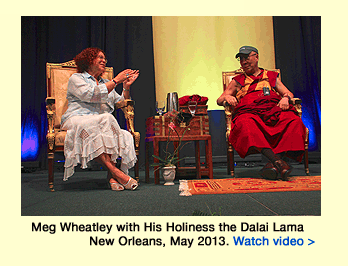 Margaret Wheatley, an eastern mystic New Age leader who teaches man's evolution of consciousness into a New Age on earth. Wheatley frequently uses the metaphor of maps, paths, and explorers to describe this process. Ken Blanchard, who has been a high profile leader. He is a business guru with obvious New Age leanings, and worked closely with Rick Warren on his Global P.E.A.C.E. plan. Jim Collins, who is still on the Leadership Network dog-and-pony-show as a leader training their leaders. His book Built to Last is an all-time favorite. He recently wrote the Foreword to Bob Buford's (founder of Leadership Network) new book Drucker and Me. 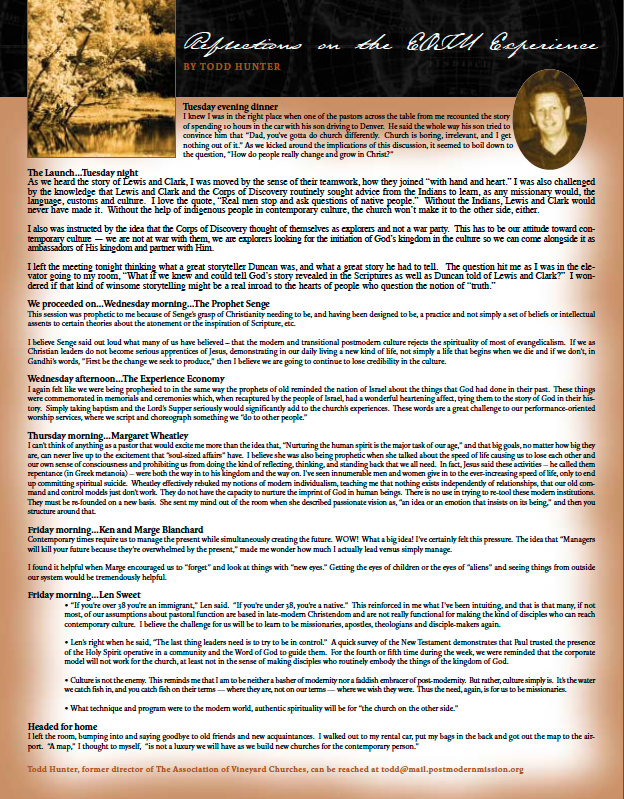 In May 1997 Collins wrote an article for NEXT titled "Building An Enduring Church." This article employed Ying/Yang eastern mysticism symbols throughout the text, and in the photo below, showing him talking to a group of "30 senior ministers." Collins explained the concept of "core values" and how they must be shared. Left unanswered is what happens to those people who don't share the new core values. Tossed under the bus? This article series does not even begin to touch upon a key theme - how all of this impacts the sheep. This article identifies the "Mission and Values" of Leadership Network that had caused so much harm. But it goes beyond this. Read more about the process in Berit Kjos's article "Dealing with Resisters." The business gurus entered the church via Leadership Network, at the invitation of Peter Drucker and Bob Buford, and put forth their own brand of organizational change and methodology. Leadership Network gave them a platform, visibility, credibility, and an eager market for their wares. These men (and women) were exciting, savvy, clever and adept at communicating a New Age worldview through the lens of their own management theories. Their ideas seemed state-of-the-art, cutting-edge, and workable. They promised pastors success, influence, wealth and power. They even helped write new theologies. The church must be redesigned to bring it up to speed for the coming global order of the world. This was Drucker's vision. Despite its utopian pretensions, things have been going wrong with this transformation. The "DNA" of these operating systems is incompatible with the Gospel because it is sourced from the occult. The New Age paradigm is evolutionary. The gurus believe only those who are "aligned" and "connected" in "synchrony" will "cause a shift in the consciousness of Earth." Much of this has been re-articulated by Brian McLaren into Christian-sounding language. These New Age business gurus envisioned the church as a corporate "organism," a "system," an "entity" in a mystical sense. In their New Age worldview, there is no room for "cancer" in the "body." Cancer must be eradicated, eliminated, excised - abandoned. How much of this toxic ideology has seeped into the church? Mark Driscoll's "under the bus" statement transcribed below, which was posted in its entirety at the "We Are Not Anonymous" site of those who have fled Mars Hill (audio clip: http://tinyurl.com/pjkbylp). Notice Driscoll's opening statement: "You cast vision for your mission." This is directly out of the Leadership Network training manual. Notice what Driscoll says next: "and if people don't sign up you move on." What happens to these people? 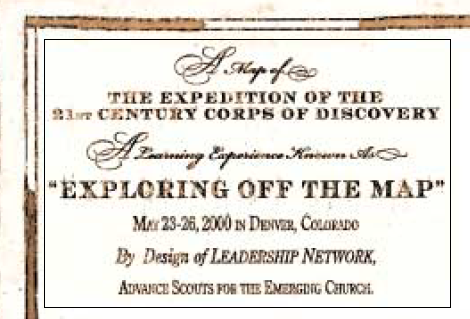 Driscoll employs the exploration motif of the "Exploring Off the Map" conference: "There are people that are going to die in the wilderness." His people, his sheep. If they gum up the works they need to be discarded. His bus runs on the new operating system. Mark Driscoll: Here’s what I’ve learned. You cast vision for your mission and if people don’t sign up you move on. You move on. There are people that are going to die in the wilderness and there are people that are going to take the hill. That’s just how it is. Um. Too many guys waste too much time trying to move stiff-necked, stubborn, obstinate people. Um. I am all about blessed subtraction. There is a pile of dead bodies behind the Mars Hill bus (chuckle) and by God’s grace it’ll be a mountain by the time we’re done. You either get on the bus or you get run over by the bus. Those are the options, but the bus ain’t gonna’ stop. And, uh, I’m just a, I’m just a guy who is like, look, we love you, but this is what we’re doing. Note that he says "the bus ain't gonna stop." This is the outworking of "continuous improvement" applied to human lives in tangible and hurtful ways. The church is the bus that has to keep moving on. Harsh! Some "gotta get run over" because they stand in the way of this transformation. And who gets thrown off the bus? Those who "wanna go somewhere else." There’s a few kinda’ people: There’s people who get in the way of the bus—they gotta get run over! There are people who wanna’ take turns driving the bus—they gotta’ get thrown off (chuckle). ‘Cause they wanna’ go somewhere else! Leonard Sweet described team building in his 1997 article for NEXT. He identified "The TEAM Gene" in the DNA, and it requires "very different skills" for leadership, including facilitator and coach. In the new system, the top-down hierarchy of control works differently. People are manipulated and maneuvered into change, often deceptively, which enforces compliance with new methods of coercion. Thus, Driscoll can say that "helpers and servants" and people "who sit on the bus and shut up" are welcome. Why? Because they can fit into of the "Mission and Values" of the organization. As long as they "serve somewhere and help out in a minimal way" they're okay. There are people who will, uh, be on the bus—leaders and helpers and servants—they’re awesome! There’s also just sometimes nice people who sit on the bus and shut up. Um. They’re not helping or hurting—just let them ride along. Um. You know what I’m saying? But don’t look at the nice people that are just going to sit on the bus and shut their mouth and think, “I need you to lead the mission.” They’re never going to. At the very most you’ll give them a job to do and they’ll serve somewhere and help out in a minimal way. If someone can sit in a place that hasn’t been on mission for a really long time, they are by definition not a leader—and so they’re never going to lead. Finally, look what happened to the leaders who spoke out against the systemic corruption inherent in this faulty DNA. They were tossed "under the bus." Driscoll explains why: "They were off mission." The DNA of these leadership organizations cannot tolerate anyone or anything "off mission." And Driscoll has the audacity to claim that the apostle Paul occasionally "puts somebody in the wood chipper"? What violent language! You need to gather a whole new core. I’ll tell you guys what, too. You don’t do this just for your church planting or replanting, I’m doing it right now. I’m doing it right now. We just took certain guys and rearranged the seats on the bus. Yesterday, we fired two elders for the first time in the history of Mars Hill last night. They’re off the bus, under the bus. Um. They were off mission, so now they’re unemployed. I mean. You. This will be the defining issue as to whether or not you succeed or fail. I’ve read enough of the New Testament to know that occasionally Paul puts somebody in the wood chipper. You know? All this has created a toxic culture. And many are hurt and wounded. This bus system needs to be examined and exposed. People are experiencing the nasty fruits that are evident above. But it is time to examine the roots - the entire cultural milieu that created this devastation. It isn't just happening at Mars Hill. May God bless those people who have courageously come forward to tell the truth. Their acts of courage are creating a counter paradigm shift, opening a pathway for true repentance. May they lead people back to the simplicity of the Gospel. May many more wake up, flee the toxic stew, study what just happened so they avoid it in the future. And finally - have mercy - pull others out of the fire (Jude 1:23). therefore they shall not prosper, and all their flocks shall be scattered. 2. Leonard Sweet, "Eleven Genetic Gateways to Spiritual Awakening," NEXT, Leadership Network, May-June 1998, p. 2. 4. Ibid., p. 151, which cites articles by Wheatley. See: http://www.margaretwheatley.com/writing.html Also see her article published by Frances Hesselbein's Leader to Leader journal, "Lost and Found in a Brave New World," http://media.wix.com/ugd/a7b5e7_1980e72c748b408f9dac5ccadb4687ec.pdf Wheatley was also featured in Leadership Network's April 23, 2001 "Church Champions" newsletter, where she got a rave review on her book Leadership and the New Science, which delved into quantum spirituality. 5. Smith, Ibid. See the index for the many places where he wrote about Ken Blanchard's controversial activities and New Age beliefs. 7. These words come from a quote by Barbara Marx Hubbard in her book The Revelation, p. 243. Warren Smith quoted this in his book Reinventing Jesus Christ, p. 58. "The Power of the Zero-Point Field"
NAR's Chuck Pierce's sound "prophecy"
When “the sound” comes, the manifest sons of God will rescue the groaning creation from tsunamis, hurricanes, tornadoes, floods, wildfires, earthquakes and other natural disasters by ordering them to cease. “Jesus calmed storms,” she states. “We should be able to do that too.”(TPOH, 8) Provided they keep their hearts are in “an upper room posture,” reception of the “sound” will empower Christians to work signs—to heal the sick, exorcise demons and raise the dead. (TPOH, 8) By the God-activated energy they control in and around them, upper-room believers will cure children of cancer to live the long life God intends for them (See Psalm 90:10; Genesis 6:3.) Sick people who even pass near the shadows of the emanating vibrations of these new Pentecostals will be cured of “every disease or infirmity” (See Acts 5:15; 19:12.). (TPOH, 10) The new Pentecostals will carry within and around them therapeutic healing energy believed to reside in dolphins. (TPOH, 10) The benevolent sound, light and frequencies within their beings, these “vibrations from God,” will cure a creation that currently “groans and suffers the pains of childbirth until now” (Romans 8:22). The “sound” will be in “the sons,” and fully at their disposal. Welcome to the “new heavens and new earth” (2 Peter 3:13). She relates that the whole idea of the word “sound”—the revelatory “hint” God once gave her during a quiet time and a word whose meaning she amplifies by describing it as the light, energy, vibrations and frequencies inherent in the science of quantum physics—reverberated in her mind and caused her to research everything she could about the subject of “sound.” In her study, she came across an Internet article by a German astrophysicist Bernhard (whose first name she spells “Bernard”) Haisch, Brilliant Disguise: Light, Matter and the Zero-Point Field. The article begins by noting the contradiction between the findings of science and the Genesis account of creation; that God created “light” three days before made the stars, sun and moon (Day 1, “light,” Genesis 1:3-5; Day 4, “lights,” Genesis 1:14-19). Haisch proceeds to reconcile what he calls the poetry of Genesis’ opening verses with the physics of quantum science. He explains how an invisible and omnipresent zero-point energy (ZPE) permeates the universe. Though unseen, the phenomenon of visible light is predicated upon ZPE’s existence (the human eye can only see light-waves which exist above zero-point energy). So from the perspective of the quantum physical observer, “light” exists before “lights.” This understanding of a duality of invisible and visible light reconciles the seeming contradiction between science and the order of creation in Genesis. God first created the invisible ZPE field. Then He worked on creating the other visible “lights” (the sun, moon and stars) from ZPE. Admittedly, this knowing about origins is fascinating. But for Franklin, it did not stop there. Her fascination with ZPE stimulated her consciousness to see something. About being transported back in time (a very long time ago... to see the moment when God said, “Let there be light” and to see the “curved” waves of light (meaning the rays were colliding with matter) emanating from the Father, it must be asked, “Where were the Son and the Spirit?” Scripture tells us creation is originally sourced in all three members of the Trinity—the Father (Genesis 1:1; Romans 1:20), His Son (John 1:2-5; Colossians 1:16; Hebrews 1:2), and the Holy Spirit (Genesis 1:2). In her vision, why did she not also see the Son and the Spirit? Hebrews tells us that, “By faith we understand that the worlds were prepared by the word of God, so that what is seen was not made out of things which are visible” (Hebrews 11:3, NASB). On this point it must be asked, does some claimed vision of the invisible contradict how in our inhabited reality, we are to understand creation; and that is by faith, “the conviction of things not seen” (Hebrews 11:1)? Any vision of creation contradicts the means by which we are to understand it; and that is by faith! 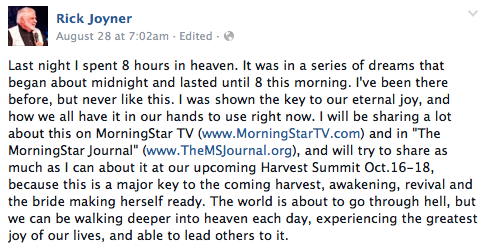 NAR "apostle" Cindy Jacobs on the "release" of a "new sound"
Then Joyner says that one day [At the second Pentecost?] every Christian will have this power. He even saw “a vision of children clearing entire regions of radiation simply through prayer.” But just what is ZPE, and is it possible that humans can harness it? In the science of quantum physics and like the God particle or Higgs boson, the zero-point energy (ZPE) field attempts to explain why the universe continues to cohere and does not disintegrate. In their separate ways, both theories seek to address the mystery of the universe at the quantum level of reality; is light comprised of energy (waves) or matter (particles)? As to the energy side of things, quantum physicists marvel that light or energy exists throughout the universe, even in vacuums. They observe that light ever oscillates at its zero-point (when it can’t be seen). The oscillation or movement is everywhere and constant. That’s why they call it a field. The existence of the field may viewed as the perpetual motion machine within nature (thus contradicting the laws of thermodynamics and entropy; that energy lost because of friction is wasted and unrecoverable). Named after the Dutch physicist Hendrik Casimir (1909-2000), this ever oscillating field of energy is also called the Casimir effect, or vacuum energy. When looking at the universe as a clock, ZPE theory represents physics’ attempt to answer the question, “Who or what wound it up?” Science’s answer is, “Nobody,” because the wave-energy is observed to be ever (and ever is part of forever) oscillating. Obviously, this eternal “Energy” explains the universe’s existence. ZPE theory doesn’t need God because in and by itself “Energy” is the sustainer of everything. Such knowing about this present reality—that this power as Franklin states, is “within us and around us”—compliments a panentheistic view (divinity permeates everything) or pantheistic (divinity is everything) of God. New Age and mystical religion is based upon this non-personal understanding of God. Furthermore, if ZPE is universal, then the invisible light equally and indiscriminately resides in and around every human being, not just the “two or three” that Franklin envisions. (TPOH, 8) “Surround sound” is equally exoteric and esoteric to all people. As such, any distinction between Christian and non-Christian is lost (Contra Romans 8:9.). But humanly speaking, can ZPE be harnessed or controlled? It is a bit like this: say a bank found it more convenient (for some strange reason) to start counting at 1,000, so that even when you had no money in the bank, your account read $1,000 [i.e., the deposit of ZPE residing in the universe]. You might get excited and try to spend this $1,000, but the bank would say, “Sorry, that $1,000 is just an artifact of how we do our bookkeeping: you’re actually flat broke. To me, the above illustration suggests that thinking God is going to amplify the first Pentecost by releasing a “sound” (thus activating ZPE field in and around believers, provided their hearts are in an “upper room posture) is illusory at best, but quantum quackery at worst. The illusion infers the relative spiritual deficiency and bankruptcy of the first Pentecost, thinking that impugns the both the sovereignty and omnipotence of God for as the Apostle Paul stated, the Gospel “is the power of God for salvation to everyone who believes” (Emphasis added, Romans 1:16, NASB). The “sounding” of the Gospel are the words which transform a person’s life (See 1 Corinthians 15:3-4.). Yet despite this scientific opinion, Charismatic Christians like Franklin believe that when He unleashes the “sound,” God will connect believers with the power of the ZPE field in and around them thereby activating a second Pentecost that will be more dynamic than the first (Compare Acts 2:1 ff.). With the power of the ZPE field at their control, Christians will be enabled to perform miracles unlike any ever worked on earth before. But the Bible reminds Christians that because “the earth [waxes] old like a garment,” only the sovereign and omnipotent God can make new what is now growing old (Compare Isaiah 51:6 and 2 Peter 3:11-13.). This means that in the end, harnessing ZPE holds no promise for saving the universe. Only the Creator can save His creation. But the day of the Lord will come like a thief, in which the heavens will pass away with a roar and the elements (Greek, stoicheia, the fundamental components of the universe) will be destroyed with intense heat, and the earth and its works will be burned up. Since all these things are to be destroyed in this way, what sort of people ought you to be in holy conduct and godliness, looking for and hastening the coming of the day of God, on account of which the heavens will be destroyed by burning, and the elements (Greek, stoicheia) will melt with intense heat! (Emphasis Mine, 2 Peter 3:10-12, NASB). “When” will the Sons of God be manifested? The Apostle in Colossians informs believers that they “have ﻿﻿died [in relation to primary interest in earthly things] and [their lives are] hidden with Christ in God” (Emphasis added, Colossians 3:3, NASB). “Hidden” (Greek, krupto, means to conceal or to escape notice) means that at that time genuine Christians were not known, had not been fully manifested as to their identity “in Christ.” Because believers’ lives are “hidden with Christ in God,” we currently appear in the world as a people “without visible means of support.” Hence, Christians can be despised, persecuted and executed by the adversaries of Christianity. But this anti-Christian prejudice will not continue indefinitely. It will end when the world finds out who we really are. Returning to the Colossians text, Paul proceeded to write in chapter three verse four that, “When Christ, ﻿who is our life, is revealed [Greek, phaneróō], then you also will be revealed [phaneróō] with Him in glory” (Colossians 3:4). See it . . . when . . . then? Christians whose lives presently are “hidden with Christ in God” will be revealed for who they really are when Christ is revealed for who He really is at the time of His Second Coming in glory. Our revelation will not be a moment sooner or a moment later than His. We will be revealed with Him. As F.F. Bruce comments, “But when Christ, the true life of all his people, is manifested in his parousia, then you who share his life now will share his glorious epiphany.” Genuine believers will be transformed not when heaven releases the “sound” of a coming-second Pentecost (The New Testament says nothing about such a Pentecost. ), but at Christ’s Parousia. As the Apostle John wrote, “Beloved, now we are the children of God, and it has not appeared as yet what we will be. We know that when He appears, we will be like Him, because we will see Him just as He is” (1 John 3:2). That’s the chronology for the manifestation of “the sons of God.” So about our current state of “hiddenness” and the expected moment of the believers’ unveiling, the Apostle writes: “For now we see through a glass, darkly﻿; but then face to face: now I know in part; but then shall I know even as also I am known” (Emphasis added, 1 Corinthians 13:12). It should also be noted that Christ Himself “was declared the Son of God with power by the resurrection from the dead, according to the Spirit of holiness, Jesus Christ our Lord” (Romans 1:4). The time of the full manifestation of the sons of God will be, as was Jesus’, when, coordinate with His Second Coming, they too shall be raised from the dead and their bodies are redeemed from “corruption into the freedom of the glory of the children of God” (Romans 8:23, 21). This will happen, the Apostle Paul states, when Jesus comes and translates the church (See 1 Thessalonians 4:16-17; 1 Corinthians 15:50-57.). So the time for the revealing of the sons of God has been set. This manifestation will not happen when a second Pentecost comes, but when the Lord Jesus Christ comes. Then at the time of the Second Coming (Parousia) our corrupted/decayed bodies will be either translated or raised from the dead. Then our position as “sons of God” will be fully manifested. This NAR idea of the soon-to-be-released power from heaven does raise an issue regarding the nature of the church and her relationship to Christ. NAR "apostle" Dutch Sheets' "prophecy" about the "sound"
[T]he Church is Christ in the sense that Jesus is the head, and the Church is the body. The Second Coming of Christ, therefore, is through the Church, not Jesus returning in the flesh; we should not wait for Him to return in order to set the world in order, but we are to take His authority over the world and spiritual realm now. But to do that, Christians need power. That’s why the New Apostolic Reformation is about power... more power... and much power; energy to transform the world, spirit power greater than Jesus’. Such thinking about “the kingdom, and the power, and the glory” (See Matthew 6:13, KJV), “reduces Jesus” says Al Dager, “to just one part of a greater whole.” So Jesus really doesn’t even need to come back “in the flesh” because He’s already present in and through the Church. The presence of the Church makes unnecessary the presence of Christ (i.e., parousia). Thus, the promise of Jesus’ personal and physical return is very nearly reduced to a non-event (Contra Acts 1:11.). After all, to bring God’s kingdom to earth, who needs the Son of God when you’ve got sons of God? That the body (the church) usurps the head (the Christ) in establishing the kingdom of God reduces Jesus’ first coming to be as unexceptional even as it makes His second unnecessary, and this despite John’s declaration that Jesus is “the only begotten of the Father” (John 1:14, KJV). The NAR prophetic scheme places Jesus far beneath the dignity Peter ascribed to the Lord when he said to Him, “You are the Christ, the Son of the living God” (Matthew 16:16). We shall not be manifested as “the sons of God” independent from the personal and physical revelation of the Lord Jesus Christ from heaven. The “the sons of God” will not be manifested by their doing “signs and wonders,” but when there occurs “the sign of His coming and the end of the age” (Emphasis added, Matthew 24:29-30). His glory will be our glory! When He finally returns to reign, then we too shall either be translated or resurrected from the dead to reign with Him on earth in glory (Revelation 20:6; Romans 8:17). Our lives are hid with Christ now. Our lives will be glorified with Christ when He comes again. 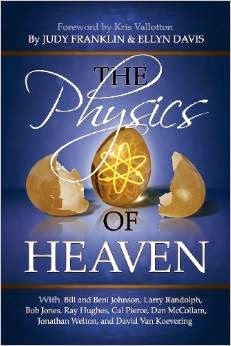 REVIEW OF: Judy Franklin, Ellyn Davis and others, The Physics of Heaven: Exploring God’s Mysteries of Sound, Light, Energy, Vibrations and Quantum Physics (Crossville, TN: Double Portion Publishing, 2012): xiv + 188. Judy Franklin, Chapter: “The Power of the Zero-Point Field,” The Physics of Heaven: Exploring God’s Mysteries of Sound, Light, Energy, Vibrations and Quantum Physics, by Judy Franklin & Ellyn Davis (Crossville, TN: Double Portion Publishing, 2012): 1-9. John Obienin interacts with article written by Matt Visser, of Washington University in St. Louis, MO. See Matt Visser, “FOLLOW-UP: What is the ‘zero-point energy’ (or ‘vacuum energy’) in quantum physics? Is it really possible that we could harness this energy?” Scientific American, August 18, 1997 (http://www.scientificamerican.com/article/follow-up-what-is-the-zer/). In his interaction, Obienin quotes Steven K. Lamoreaux whose words are sourced in Physical Review Letters, Vol. 78, No.1, January 6, 1997, pp. 5-8. Bernhard Haisch, “Brilliant Disguise: Light, Matter and the Zero-Point Field,” zpenergy: new energy revolution, December 26, 2005 (http://www.zpenergy.com/modules.php?name=News&file=article&sid=1669). In the science of quantum physics the zero-point energy field attempts to account for on the energy side of things—as the God or Higgs Boson particle on the matter side of things—why the universe coheres and does not disintegrate (i.e., gravity). Both theories address the issue of light—mysteriously, is it energy (a wave) or matter (a particle)? As to the energy side of things, quantum physicists observe that though out the universe, even in a vacuums, there resides an immense and ever oscillating energy field (like a perpetual motion machine). Named after the Dutch physicist Hendrik Casimir (1909-2000), this infinite oscillating is also called the Casimir effect. The existence of the zero-point energy field is science’s attempt to answer the question, looking at the universe as a clock, “who wound it up?” The answer is, “Nobody,” because energy is perpetual and eternal. 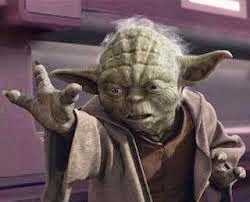 “May... the Force be with you!” The theory doesn’t need God so it becomes difficult to understand why NAR’ers are trying empower the sound with the field. The full text reads: “Then the disciples came to Jesus privately and said, ‘﻿Why could we not cast it out?’ So Jesus said to them, ‘﻿Because of your unbelief; for assuredly, I say to you, if you have faith as a mustard seed, you will say to this mountain, ‘﻿Move from here to there,﻿’ and it will move; and nothing will be impossible for you’.” (Matthew 17:19-20, NKJV) We would note that again the words cited vary from the NKJV. “Some refer to a wave-particle ‘duality’, but it might be better to talk of a wave-particle ‘ambiguity’. Light may be better described as neither energy nor mass, but something in-between or encompassing both. How to deal with this matter is a philosophical question as much as a scientific question.” Emphasis added, G-zilla, “Is light matter or energy?” Yahoo! Answers: Science & Mathematics, Astronomy & Space (https://answers.yahoo.com/question/index;_ylt=AwrBT7adoQVUilEA8zBXNyoA;_ylu=X3oDMTEzODU0MGRrBHNlYwNzcgRwb3MDMQRjb2xvA2JmMQR2dGlkA1ZJUDM3Nl8x?qid=20070307202253AAuEU3P). Emphasis added, Matt Visser, “FOLLOW-UP: What is the ‘zero-point energy’ (or ‘vacuum energy’) in quantum physics? Is it really possible that we could harness this energy?” Scientific American, August 18, 1997 (http://www.scientificamerican.com/article/follow-up-what-is-the-zer/). “Stephen Hawking says Higgs boson has potential to destroy entire universe,” News.Com.Au, September 8, 2014 (http://www.news.com.au/technology/science/stephen-hawking-says-higgs-boson-has-potential-to-destroy-entire-universe/story-fn5fsgyc-1227050890169). Ibid. The “nudge” causing the system of our universe to collapse in a vacuum could be the building of a collider (a machine) that will create enough empty space to begin the collapse of matter within it, which collapse would then spontaneously spread throughout the universe (kind of like one atomic bomb going off and triggering more and more subsequent explosions until our whole planet is engulfed in a ball of fire and a cloud). As Hawking explains the doomsday scenario he envisions, “This could mean that the universe could undergo catastrophic vacuum decay, with a bubble of the true vacuum expanding at the speed of light. This could happen at any time and we wouldn’t see it coming.” Note his repeated use of the word “could.” Because it could happen does not mean that it will happen, at least not yet. But who really knows, other than God? Bruce comments that, “the life of believers is hidden ‘with Christ’ because they died with him and have been raised with him [see Romans 6:1-11]; it is hidden ‘in God’ because Christ himself has his being in God and therefore those who belong to him [who are “with” or “in” him, see Ephesians 2:4-10, etc.] have their being there too.” See F.F. Bruce, The Epistles to the Colossians, to Philemon, and to the Ephesians (Grand Rapids, MI: Wm. B. Eerdmans Publishing Company, 1984): 135. Ibid: 136. The verb “shall appear” (KJV, Greek, phaneróō—“is revealed,” NASB, NRSV; “appears,” NKJV) belongs to the family of Greek words (both verbs and nouns) which in the New Testament can refer to Christ’s Second Coming (parousia, James 5:7; epiphaneia, Titus 2:13; and apokalupsis, 1 Corinthians 1:7). Murray J. Harris, as do other commentator/scholars, notes that the clause, “When Christ . . . appears” (Colossians 3:4) refers to His Second Coming. 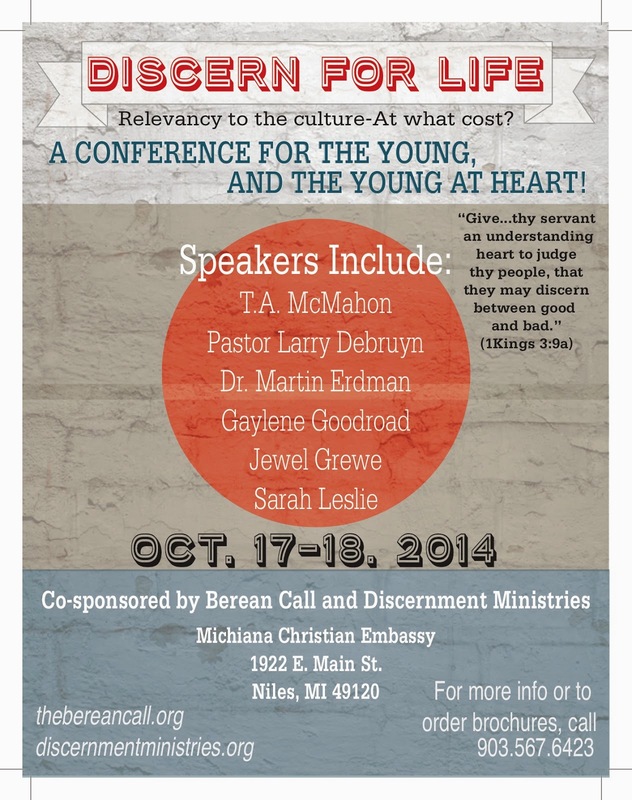 See Colossians & Philemon (Grand Rapids, MI: Wm. B. Eerdmans Publishing Company, 1991): 139. When combined with a verb in the subjunctive mood as in this verse, “when” (Greek, hotan) means “whenever.” Thus, the timing for the revelation of the sons of God is dependent upon the imminent (impending or any moment) return of the Lord Jesus Christ. Albert James Dager, Vengeance is Ours: The Church in Dominion (Redmond, WA: Sword Publishers, 1990): 148.